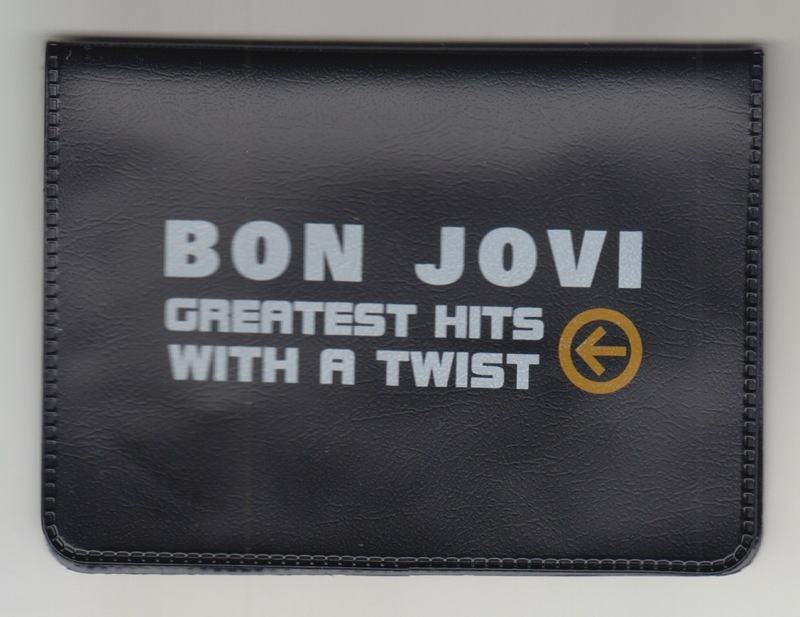 artist : BON JOVI, etc. 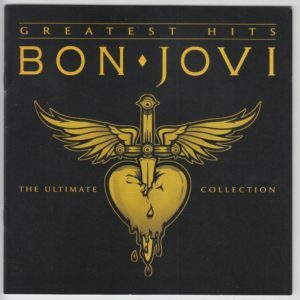 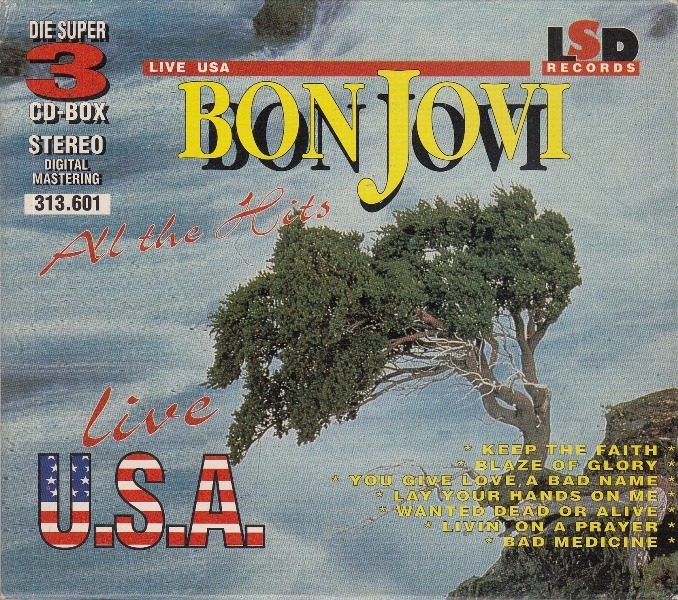 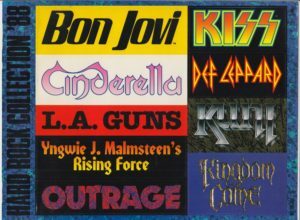 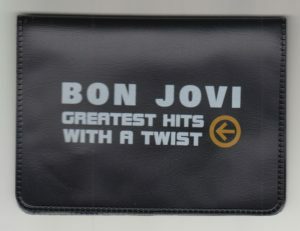 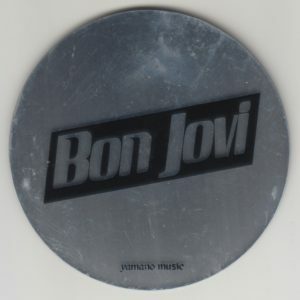 A sticker made in 1988 including BON JOVI, CINDERELLA, L.A. 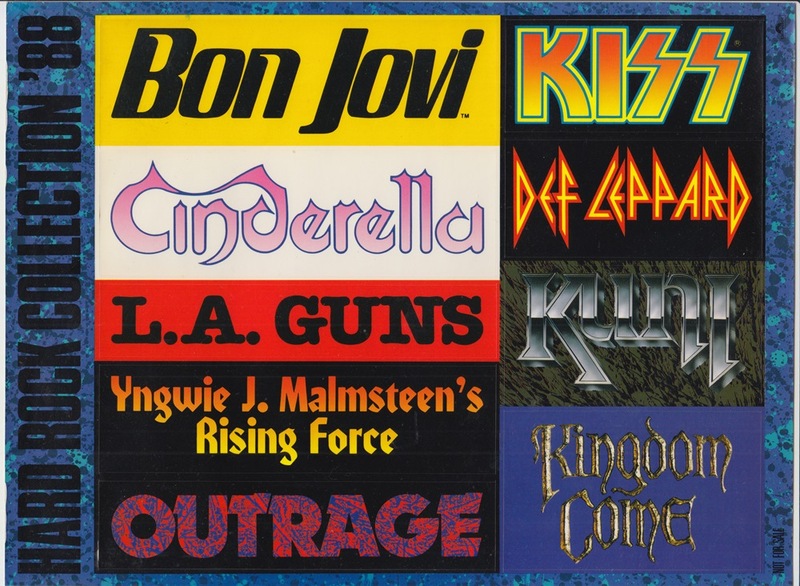 GUNS, YNGWIE MALMSTEEN’S RISING FORCE, OUTRAGE, KISS, DEF LEPPARD, KUNI, KINGDOM COME. 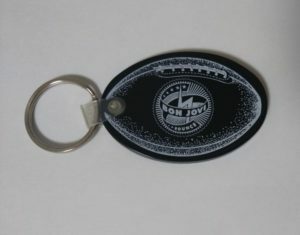 Promotional badge produced in YAMANO MUSIC of Japan in the 1980s. 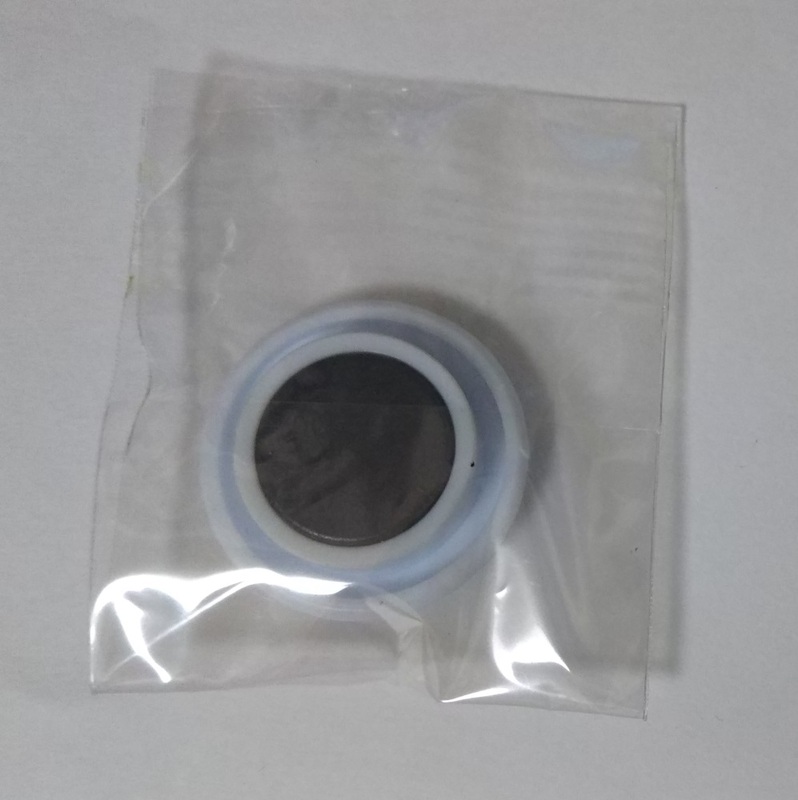 About 10 cm in diameter. 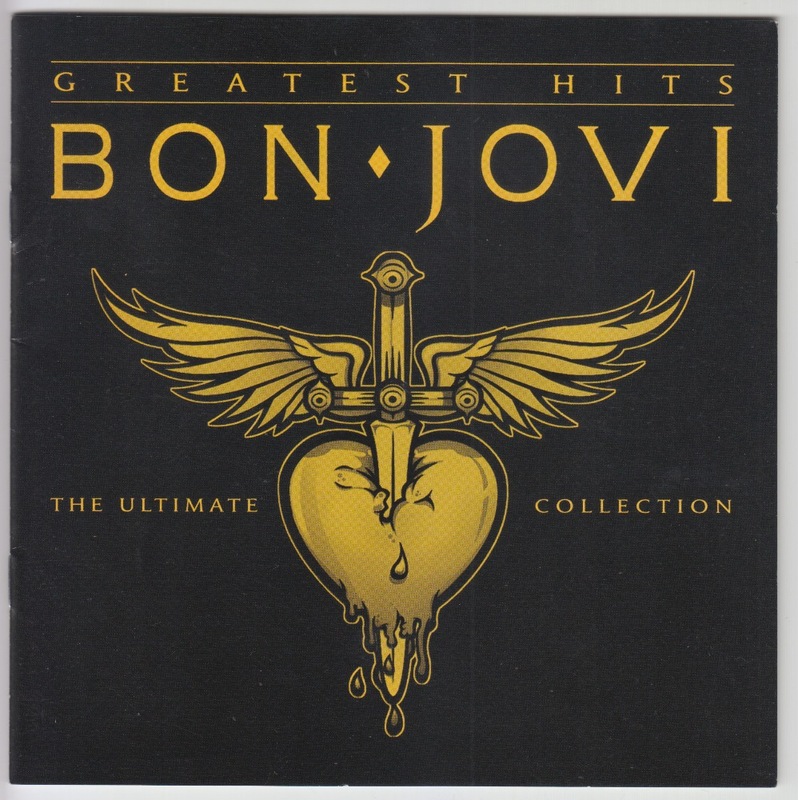 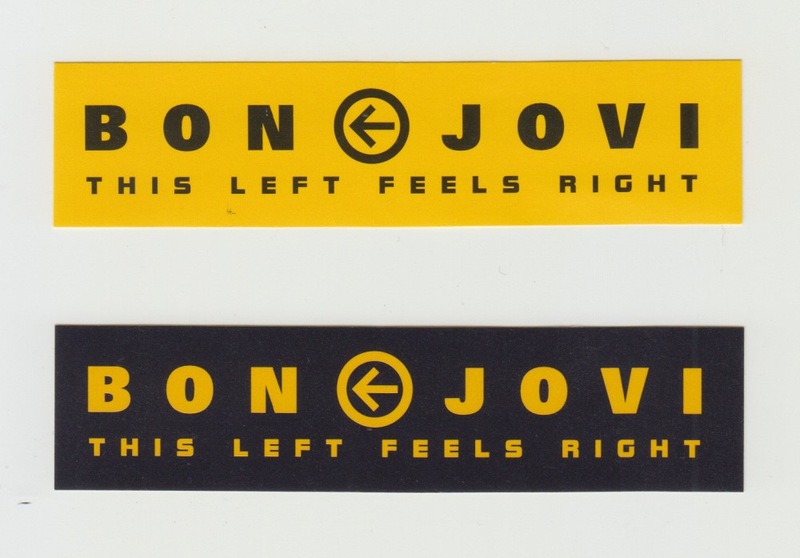 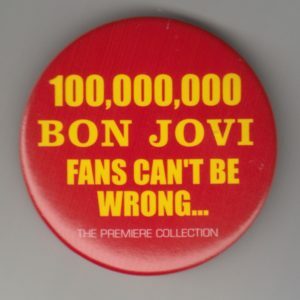 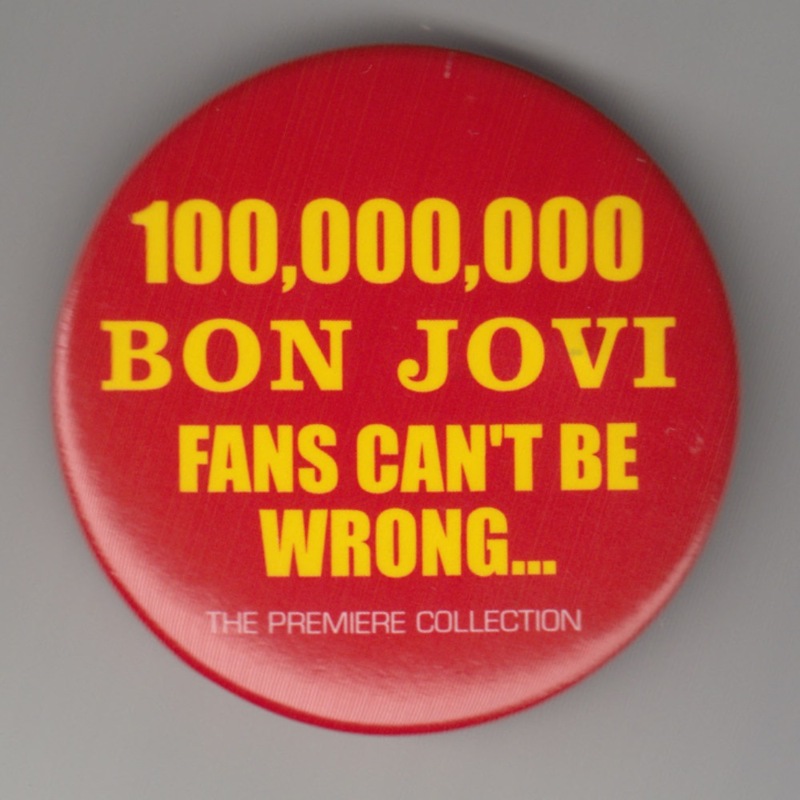 Badge made for the promotion of 100,000,000 BON JOVI FANS CAN’T BE WRONG… in 2004. 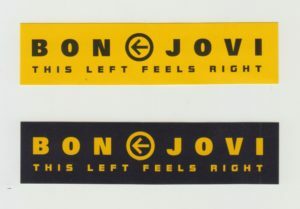 Pass holder made for the promotion of THIS LEFT FEELS RIGHT in 2003. 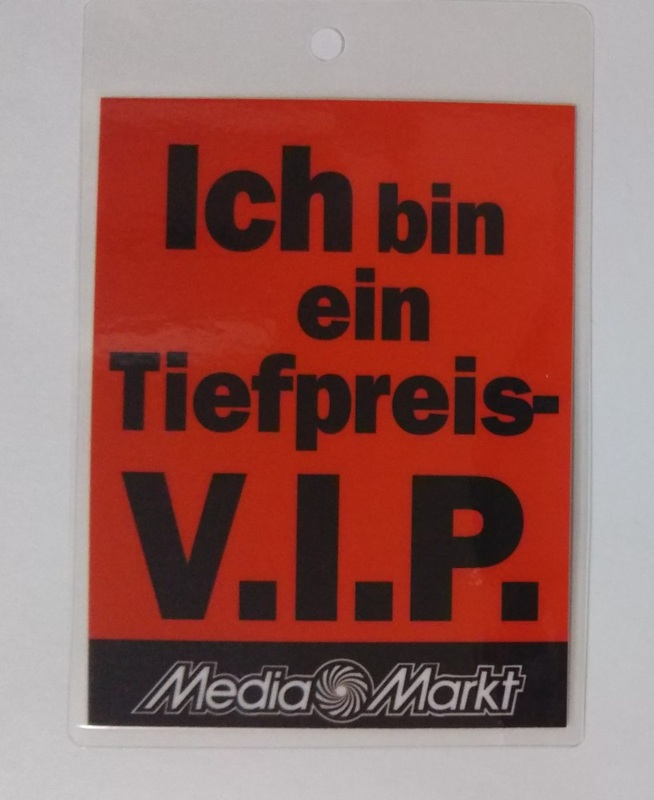 Sticker made for the promotion of THIS LEFT FEELS RIGHT in 2003. 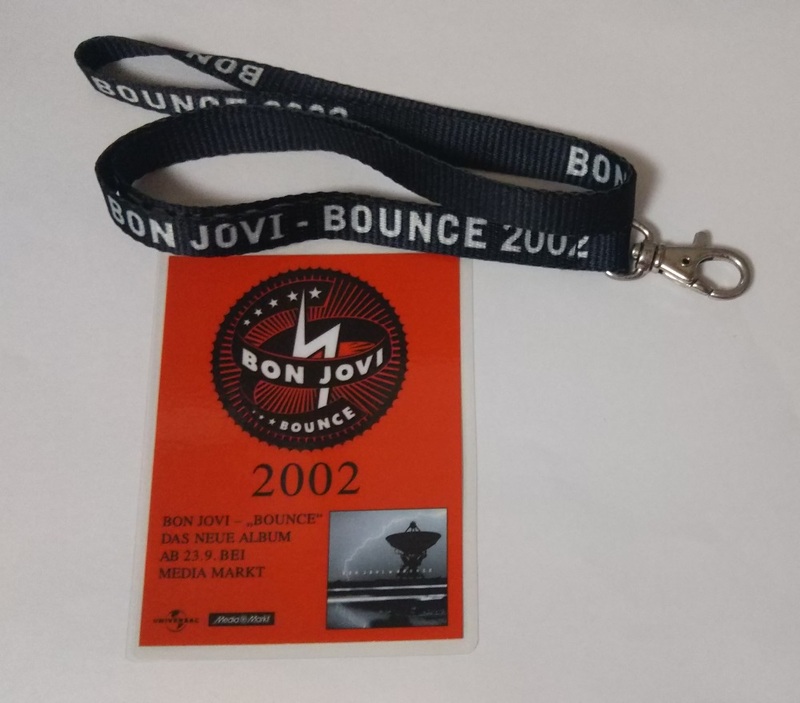 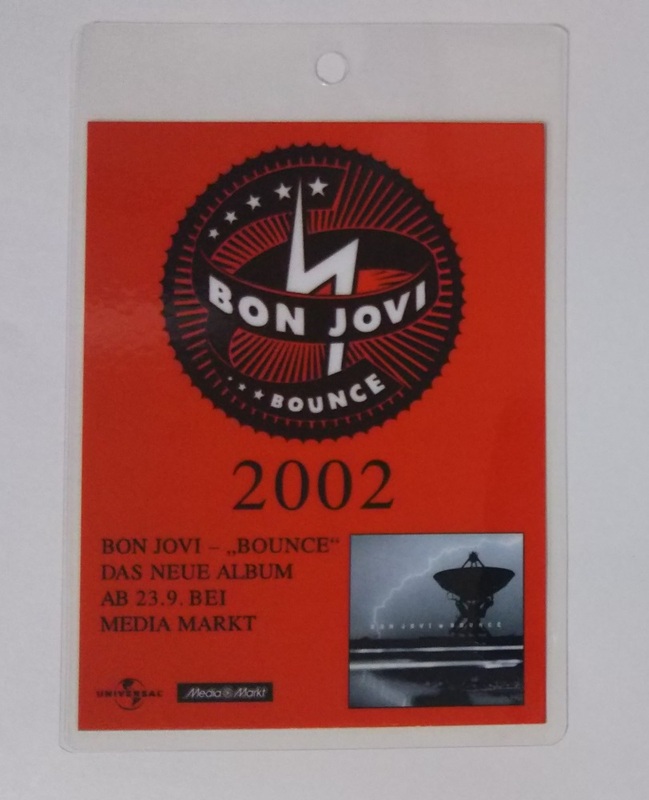 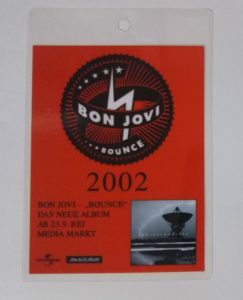 Notice issuance of backstage pass type produced for the 2002 album BOUNCE promotion. It was created by German retail store Media Markt. American Football Ball Shaped Key Chain made for the promotion of BOUNCE in 2002. Those distributed in the USA. 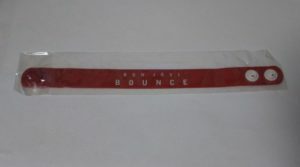 Wristband made for the promotion of BOUNCE in 2002. 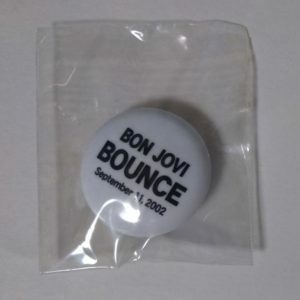 Magnet made for the promotion of BOUNCE in 2002.